The COSMO-SkyMed system is a constellation of four radar satellites for Earth Observation founded by the Italian Space Agency and the Italian Ministry of Defense. COSMO-SkyMed is at the forefront of technology and uses high-resolution radar sensors to observe the Earth day and night, regardless of weather conditions. The constellation is fully operational since the 2008. Its purpose is to monitor the Earth for the sake of emergency prevention (management of environmental risks), strategy (defense and security), scientific and commercial purposes, providing data on a global scale to support a variety of applications among which risk management, environment protection, natural resources exploration, land management, defense and security. e-GEOS (ASI/Telespazio Company) is the world-wide exclusive distributor of COSMO-SkyMed and operates, on behalf of ASI, the IC-UGS (Italian Civilian User Ground Segment) at the Matera Space Center. The Finnish Meteorological Institute (FMI) and e-GEOS have signed a contract in 2012 that allows FMI to plan, task and receive COSMO-SkyMed images through Sodankylä station. 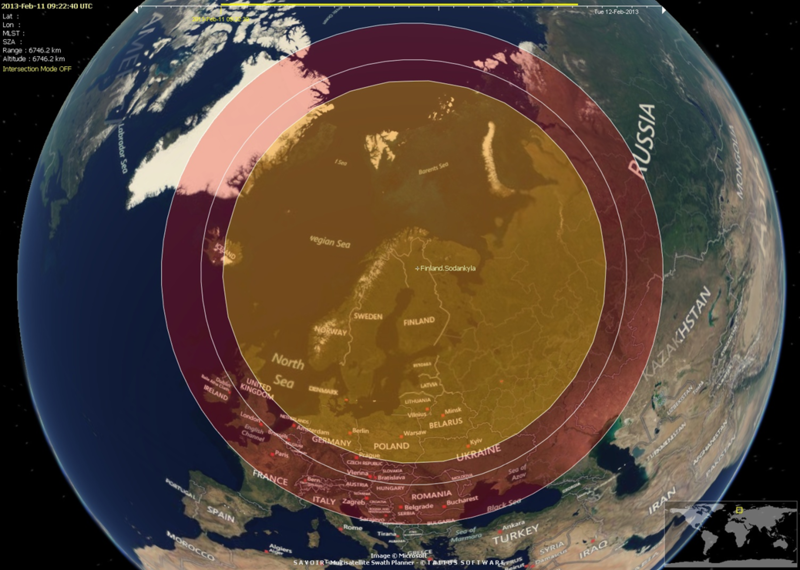 The Cosmo-SkyMed services has been operational since end of the 2012 providing Finland with COSMO-SkyMed direct reception capabilities over the Baltic and a large part of the Arctic areas to monitor ice formation and movements and Arctic changes. Sodankylä visibility cone for 7, 5 and 0 degrees, respectively. COSMO-SkyMed satellites are able to transmit their data to Sodankylä station when they are within the visibility cone.